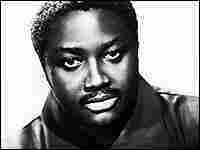 A Soul Legend Emerges, Fully Formed Even if you've never sought out the music of Donny Hathaway, you've probably felt his presence: His low-key, insistent way of interpreting a song has been emulated by virtually every contemporary soul and R&B singer. But still his records remain under-appreciated. 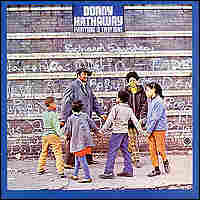 What took the world so long to appreciate Donny Hathaway? What other singers have experienced a similar fate, only becoming influential after death? Discuss the late singer's legacy and submit a comment here. Even if you've never sought out the music of Donny Hathaway, you've probably felt his presence: His low-key, insistent way of interpreting a song has been emulated by virtually every contemporary soul and R&B singer. D'Angelo calls him a father figure. Alicia Keys name-checks him in interviews. And still his records remain under-appreciated. Unlike high-wattage influences such as Marvin Gaye and Stevie Wonder, Hathaway, who committed suicide in 1979, is a kind of stealth patron saint. The jazz-combo version of "Misty" [audio] on Everything Is Everything, Hathaway's astoundingly diverse 1970 debut, offers one clue why he's neglected: He's a master of the subtle, the understated, the featherweight zinger. Throughout this track, and really everything on Everything, he magnifies the difference between communicating and merely showing off: He doesn't scream, doesn't belt, but instead snakes through the themes, using tiny gestures to personalize the familiar. Reverent about melody and at the same time good at the embellishing ad lib, Hathaway shows how to lean into a line just enough to give it a tugging urgency, and not too much to call attention to the effort. Incredibly, Hathway had to be persuaded to sing. For years before he ever stepped out, he was working as a keyboardist and arranger; indeed, a secret weapon of his records is the suave instrumental backing. Hathaway heard from many people in his circle — his wife, a trained vocalist; his early boss, R&B saxophonist King Curtis; his future duet partner, Roberta Flack, whom he met when attending Howard University — that he needed to share his voice with the world. They were right.